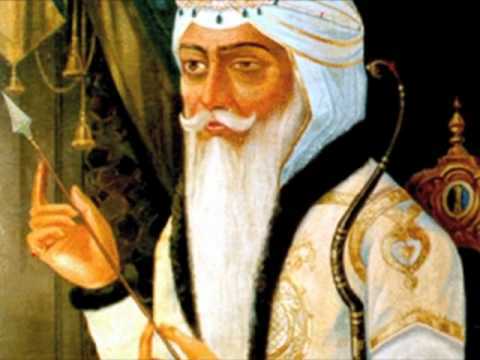 Maharaja Ranjit Singh (1780-1839) was a member of the Sukerchakia misal. From early childhood, he was fond of riding and hunting. Taking advantage of the unsettled conditions in the Panjab, he expelled Chet Singh of Bhangi misal from Lahore and crowned as Maharaja. He captured Amritsar in 1802 and thereafter assumed full sovereignty over petty chiefs of Malwa. He crossed the Sutlej for extension of his dominion but the chiefs of Jind and Kaithal appealed to the British for help against Ranjit Singh. The British made a treaty with Ranjit Singh in 1809, declaring the Sutlej river as his frontier. In 1818, Ranjit Singh annexed Multan and a year later, Kashmir lay at his feet. He proceeded northward and annexed Peshawar in 1834. Ranjit Singh is known as the lion of the Punjab. He was born soldier and administrator. Sir Lepal Griffin called him, “The beau ideal of a soldier, strong, spare, active, courageous and enduring.” He had a lot of common sense and ruled him empire with justice and wisdom. It is surprising that he abolished the death penalty in those turbulent times. He was very tolerant ruler; the public offices were held by Muslims, Sikhs and Hindus on equal terms. He picked men of ability and character for administration and encouraged budding talent. His royal court was cosmopolitan in character. He employed European officers to train his army on modern lines. Ranjit Singh as a Sikh, created endowments for religious uses and allotted land to Hindu, Muslim and Sikh shrines for their upkeep. He was a strict disciplinarian and used to move in disguise to look after his subjects. Ranjit Singh gave the Panjab a good and enlightened administration. He prohibited traffic in women and children. He patronised artists and warriors. He dispensed justice impartially. He was fond of the joys of life but never neglected public affairs for personal pleasure. It is significant that he gave a period of peace and efficient administration to the Panjab and checked the aggressive designs of the British power in Northern India. « What do you know of Bhai Vir Singh?